The Roman Catholic Churches in the English speaking world began adapting themselves to the new translation of Mass from this Sunday after four decades of praying in another manner. The new translation of the liturgy from a revised Roman Missal is more closely related to the church's original Latin. The new translation is expected to give a new deeper sense of transcendence, mystery and reverence toward God's presence. Rome, Sep 25 - Inter Milan's new coach Claudio Ranieri said his side started on the right foot in their 3-1 away victory over Bologna Saturday. Ranieri took charge only Thursday after Gian Piero Gasperini's dismissal, but secured their first victory of the season in all competition. "It was important to start on the right foot as the lads have to get back on track," Xinhua quoted Ranieri as saying. Rome, Aug 24 : Italian Prime Minister Silvio Berlusconi will meet Libyan rebel leader Mahmoud Jibril Thursday in Milan, the prime minister's office said in a statement. How to protect the interests of Italian companies in Libya would be on top of the agenda of the meeting, Xinhua reported citing Ansa news agency. The report said guidelines of the relations between the two countries would also be discussed. Rome, Dec 1 - Mario Monicelli, a celebrated Italian film director, took his own life by leaping from the fifth-floor balcony of a Rome hospital where he was being treated for cancer. He was 95. Public broadcaster Rai television late Monday interrupted a popular programme to announce his death. "Death doesn't frighten me, it bothers me," Monicelli, who was awarded the Career Golden Lion achievement award at the Venice Film Festival in 1991, said in a 2007 interview with Vanity Fair. The 1839 masterpiece of painting of a view of Rome has been sold for 29.7 million euros, which is a record price for the artist's auction. The painting was up for sale for only second time and it was sold within five minutes with six bidders bidding for that class act. The previous record price was 20.5 million euros paid in 2006 for San Giorgio, La Donna della Salute and the Venice painting Giudecca. A lawyer said on Thursday that the Roman Catholic Diocese of Burlington, Vt., will pay more than $20 million to end 28 lawsuits alleging sexual abuse by its priests. The Burlington Free Press has reported that the plaintiffs' attorney, Jerome O'Neill, said the victims in 24 cases that had yet to go to trial would share $17.6 million. Million-dollar jury verdicts in two other cases under appeal will be settled separately, he said. Rome, Jan 21 - Nuclear energy production in Italy will need a 30-billion euro investment now, more than two decades after the country mothballed its reactors, according to the head of the largest Italian business lobby Confindustria. "Italy's nuclear plan will involve 350 companies and 70 percent of the investments will be by Italians," said Confindustria president Emma Marcegaglia at a conference here. 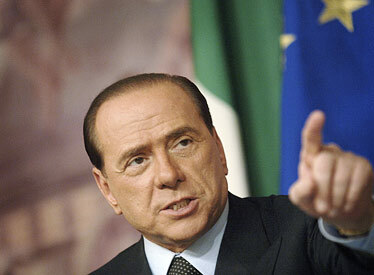 Italian Prime Minister Silvio Berlusconi's government in 2008 pledged to begin construction of nuclear power plants in five years but has yet to announce any sites for the new plants. Rome, Jan 7 : Pope Benedict XVI called Turkey a "bridge between Islam and the West," during a discussion with the new Turkish ambassador to the Vatican Thursday. 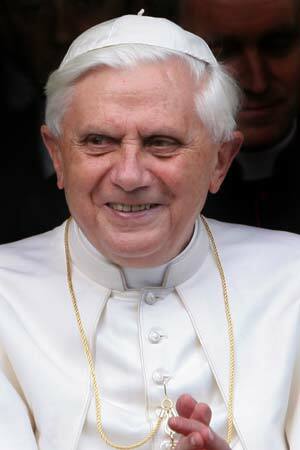 But the pontiff also said the Catholic Church should receive a recognised legal status in the country. Such a status would help the Church to "enjoy complete freedom of religion and help to build up (Turkey's) society," Benedict told Ambassador Kenan Gursoy. Rome, Dec 30 - The Italian government's tax amnesty scheme has netted a record 95 billion euros from funds and assets held abroad, Economy Minister Giulio Tremonti has said. The controversial three-month amnesty was due to expire Dec 15 but has been extended until the end of April, due to a late rush of applicants who were offered generous terms and anonymity. "These numbers indicate an extraordinary success. They are a sign of the strength of our economy and of confidence in Italy," Tremonti said in a statement Tuesday. Nouakchott/Rome, Dec 29 :Italy's Foreign Minister Franco Frattini said Monday he will travel to Mauritania where Al Qaeda's North African branch has claimed to have kidnapped an Italian couple. "I will not comment any further, so as not to prejudice the safety of our nationals," Frattini said in an interview with public television news programme TG1. He did not specify the exact dates of his trip to the African country other than to say it would be early in January. Rome (Italy), Dec. 25 : An “unbalanced woman” jumped the barriers in St. Peter’s Basilica and knocked down Pope Benedict XVI as he walked down the main aisle to begin Christmas Eve Mass, a Vatican spokesman said Thursday. Television images showed a woman in red leap toward Benedict, 82, as he began to walk up the central aisle, as the police and bodyguards scrambled to his aid. Rome, Dec 24 - Italy's Agriculture Minister Luca Zaia has won a hard-fought battle to obtain labelling for virgin and extra virgin olive oil that clearly states where the olives used to make it come from. The victory is a boost for Italian olive oil producers, who are counting on the exceptional quality of the 2009-10 season's oil to make up for a 15 percent fall in output compared with the previous season. "Since July 1, transparent labelling indicating the country of origin of the olives has been mandatory in all of Europe," said Zaia. Rome, Dec 21 - Juventus closed 2009 with an embarrassing 2-1 home defeat against Serie A tail-enders Catania and fell nine points behind leaders Inter Milan, who won 1-0 in a late game with Lazio. Ahead of a two-week winter break, champions Inter widened their lead on city rivals AC Milan to eight points, although the Devils have a game in hand when the season resumes Jan 6. Rome, Dec 16 : A video game has surfaced on the Internet challenging players to strike Italian Prime Minister Silvio Berlusconi as many times as they can with replicas of the northern Italian city of Milan's Cathedral. The game appeared just two days after Massimo Tartaglia made headlines around the world for striking Berlusconi in the face with a small alabaster souvenir statuette of the Milan landmark. Rome, Dec 16 - Italian car giant Fiat defied the economic downturn and recorded a dramatic increase in car sales across Europe in November. According to the latest sales figures released Tuesday, the Fiat Group recorded a 30.7 percent increase in November sales with Fiat vehicle sales up 33.3 percent and sales of Lancia vehicles up 37.9 percent. Sales of Fiat's Alfa Romeo cars rose by 4.5 percent, the company said. The sales increase was a significant turnaround in the slowdown that has struck the auto industry in the past few months. Rome, Dec 16 - An earthquake registering 4.2 on the Richter scale Tuesday caused panic and damaged houses along the border of the Italian regions of Umbria and Tuscany. 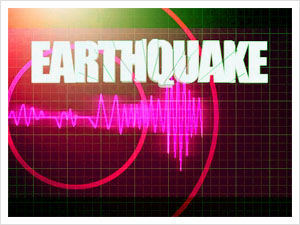 The earthquake was most noticeable in the city of Perugia and surrounding areas. Several smaller towns were evacuated, according to Italian Agriculture Minister Luca Zaia. It was unclear how many people, if any, had been injured. An aftershock measuring 2.8 on the Richter scale spread fear, but cause neither damage nor injuries, reported emergency services agencies. Rome, Dec 15 - Italy's Interior Minister Roberto Maroni has said that Prime Minister Silvio Berlusconi could have been killed when he was attacked Sunday after a political rally in the northern city of Milan. Maroni expressed his concern Monday about the lapse in security after meeting senior police and political leaders in the city to discuss the incident. "He was at risk of being seriously injured, or killed," said Maroni, adding that the attack was "a very serious event". Rome, Dec 14 : Inter Milan coach Jose Mourinho jostled and insulted a reporter after the Serie A game in which his side drew 1-1 at Atalanta, the ANSA news agency reported. Andrea Ramazzotti, a reporter with daily newspaper Corriere dello Sport, said that the Portuguese coach got off the Inter bus Sunday and grabbed him by the arms, telling him to leave a nearby area reserved for Inter Channel. Ramazzotti said he had been authorized by both clubs to access the area. Some stewards said they heard Mourinho insult Ramazzotti, telling him he was to move to the press room of the Bergamo stadium. Rome, Dec 14 - Italian Prime Minister Silvio Berlusconi was bloodied and knocked to the ground by an attacker shortly after a political meeting in the Italian city of Milan on Sunday. Berlusconi, who was hit in the face and bleeding profusely from the mouth, was rushed into a car and driven away after the attack to be examined at a hospital, reported eyewitnesses. Rome, Dec 10 - The conservative Italian government has brought the mafia "to its knees", Italy's justice minister Angelino said while urging prosecutors to work even harder to defeat it. His comments followed the arrest Saturday of the Sicilian mafia's alleged second-in-command, Giovanni Nicchi, and and another top mafia boss, Gaetano Fidanzati. "The mafia is now on its knees, its historic leaders are all in high-security prisons, its rising stars have already fizzled out. Now we want to deal the killing blow and free ourselves from the mafia as soon as possible," Alfano told journalists Wednesday in the the Italian capital, Rome.